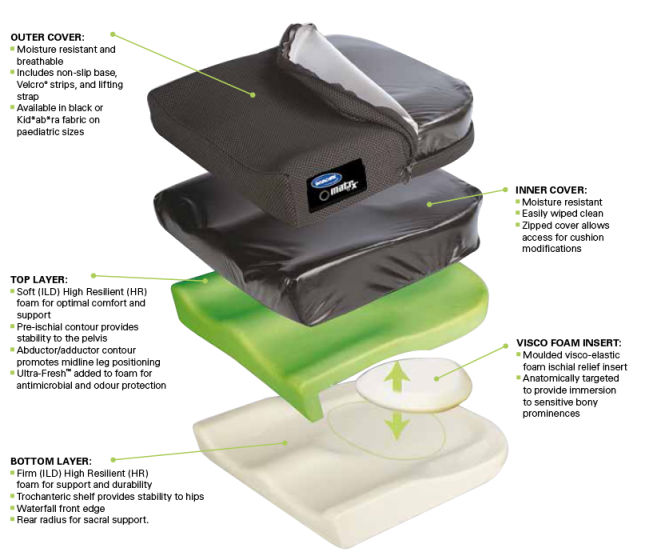 Matrx Kidabra Wheelchair Cushion With Skin Protection. After trying different cushions over the years I have finally found one which suits my requirements and is perfect for me ! I will be ordering another replacement for my second wheelchair. Excellent customer service too.